Dr. Jonathan Spyer of the Rubin Center for Research in International Affairs has penned a thoughtful inquiry into whether Iran is going to be able to make good on its regional ambitions. His considered conclusion is that they will not, because their methods are too disruptive for any stable power to emerge — not even themselves. His historical analysis is quite good, and deserves to be considered at length. Iran has thus far not been able to establish stable footholds of influence, he notes, but has only disrupted the stability that existed before they began to act. The only exception to that is Hezbollah in Lebanon, which has become a stable feature of the culture and — as discussed here at IranTruth recently — an important support organization for the regular Lebanese Army. What remains to be seen is whether Iran is able to make the shift away from fomenting chaos and to crafting a new order that favors its interests. Until now Iran has been playing the strategy of a weak actor, from a position of isolation both political and economic. Chaos has served its interests well because it has prevented local actors from organizing against it: for example, in the 1980s, fomenting disruption within Saddam’s Iraq was an important aspect of preventing Iraq from defeating it during their long war. Their activities to continue to sow discord within Iraq during the American reconstruction efforts prevented an independent foreign power from arising on their border. Though Iraq has managed to flourish in its Shi’ite and Kurdish regions, while its Sunni regions remain subject to the destructions of war, this flourishing is not entirely in Iran’s interests: “Iraqis embrace religion, but still value independence from their neighbors (and, indeed, complain bitterly about Iranian arrogance and the corrosive effect of Tehran’s dumping of cheap goods).” Iran continues to undermine Iraq’s economy and military even under a Shi’a-led government, because it needs for Iraq to remain dependent on Iranian support. Iran’s development of Shi’a militias ideologically loyal to Tehran is coupled with an undermining of Iraq’s own traditional military structure. The hope has to be that in Iraq, as in Lebanon, the formal military can become dependent on the support of the militias. There are some indications since the JCPOA that Iran is now attempting a new strategy, one that will be less about disrupting power and more about consolidating power for itself. We see this especially in Syria, where Iran has managed to leverage ties to Russia to bring about a rapid change of fortune. This may at first glance seem like a Russian advance into Syria, and indeed Russia does have interests there it intends to protect. However, as has been pointed out here several times, Iran is the senior partner in this action: Russian air and naval gunnery strikes will be of very limited use except with actionable on-the-ground intelligence, and it is Iran’s network of militias that make this possible. Those same militias are providing a critical capacity in taking and holding ground in Syria, and are being organized and unified in their command by Iran’s elite Quds Force. Finally, Iranian regulars have begun deploying within the Syrian conflict zone as well. The game they are playing in Syria is no longer about sowing chaos, but about bringing together the forces they control in order to determine the outcome of the conflict. Their recent moves in international diplomacy also suggest an end-game pointed at stability with Iranian advantages. In the case of Syria, Iran’s recent success at gaining membership on the international panel negotiating about the future of Syria is likely to pay dividends for the same reason that its partnership with Russia is likely to redound to Iran’s benefit. Possession is 9/10ths of the law, it is said, but it is even truer in cases when an old legal order has fallen apart and a new legal order is coming to be. Iran’s control of the ground game in Syria is going to make them the senior partner in determining what the outcome looks like. They will be in a position to influence that debate like none of the other international powers. Iran’s moves to elevate international diplomacy to the outcome in Yemen also suggest a game of consolidation. 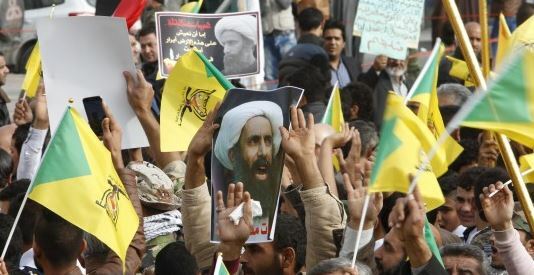 By creating parallel diplomatic tracks for Yemen and Syria, Iran can play America’s Sunni allies’ interests in the one theater off their interests in the other. Iran’s proxy forces in Yemen have not been doing well, so the shift to diplomacy is helpful to them because it could freeze the conflict in a way that preserves its value as a negotiating package. If it succeeds in creating such a track for Yemen, Iran can trade concessions to Saudi Arabia or Qatar in Yemen for concessions to Assad and itself in Syria. The key to do that is creating this environment of diplomatic stability, though: not in sewing chaos further, but in creating a status quo that can serve as a frame for negotiations. The timing of this move is not coincidental. It is the JCPOA that creates the opportunity for Iran to turn itself into the regional power it intends to be. Iran has been using proxy forces in a chaotic way because it could not afford to be drawn into open conflicts for which it would have to take responsibility: its economic isolation made that strategy too dangerous. In the wake of the JCPOA, foreign investment is pouring in that will only increase Iran’s power as time goes along. The financial investments of European countries in particular also have the benefit to Iran of decreasing its diplomatic isolation: it is vanishingly unlikely that a European nation with a substantial new investment in Iran will risk losing that investment by backing ‘snap back’ sanctions. Russia is Iran’s most open new ally, but it will be able to rely on the interests of many other nations as well. 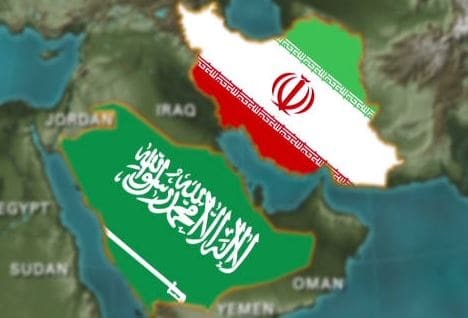 This combination of increased wealth and diplomatic power is likely to produce the outcome Iran desires: an arc of control from its border with Afghanistan (where it is supporting the Taliban’s drive to consolidate power) to the Levant. It will be less capable of controlling the outcome in Yemen, but it should be able to obtain significant concessions from the resolution of that conflict. As for its allies among Palestinians, and consequently the fate of Israel, Iran could hardly be clearer about its long-term intentions. Its capacity to shift to a regional power seems to have been rapidly boosted by the JCPOA’s acceptance by the international community, and with that shift its capacity to enact its long-term agenda on the region. Once they finally have the bomb, the security of its regional influence will be assured by the nuclear umbrella that the JCPOA will have helped them to erect.